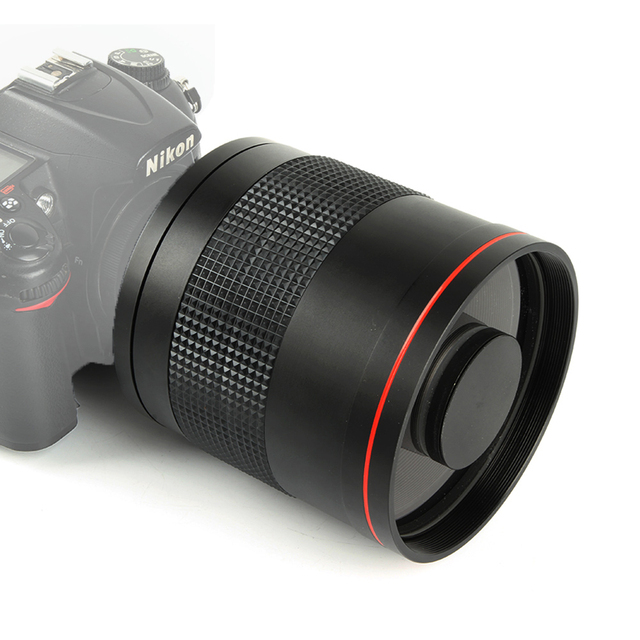 This 900mm Manual ultra-telephoto, multi-coated mirror lens is a brand new lens. 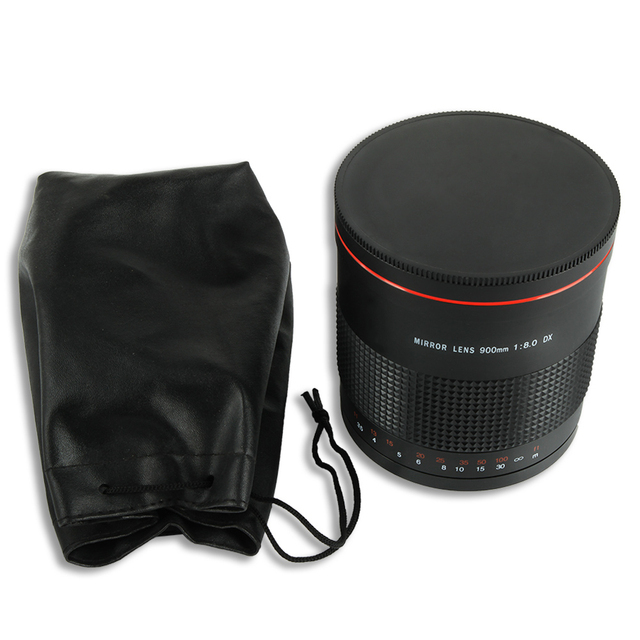 Incredibly compact and lightweight, this lens is ideally suited for sports and wildlife photography. 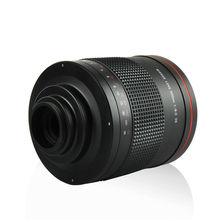 It has a fixed aperture of f/8 which is faster than most other 900mm lenses. This lens attaches to your camera with the included T-Mount adapter and works with auto focus cameras in manual mode. This lens is designed and constructed with ED Glass for enhanced dispersion. It’s an excellent addition to any photographer’s collection. 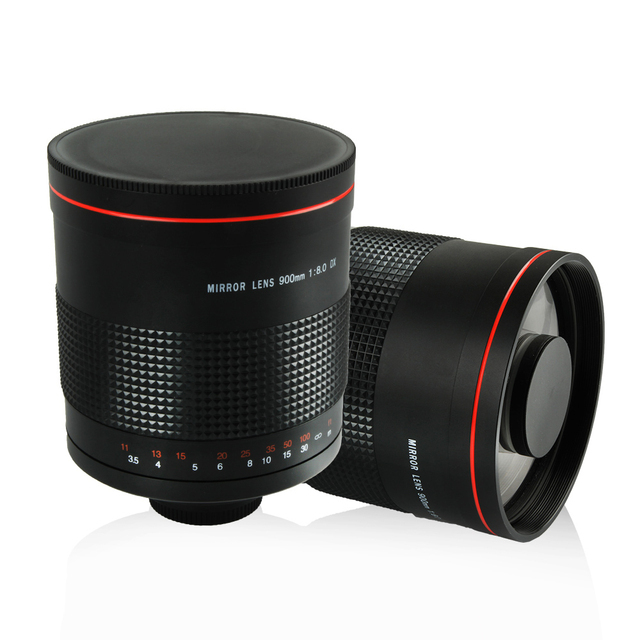 This lens is a high-quality,computer designed product that incorporates the merits of both reflex optics and refraction optics. This combination provides the user with an extremely sharp picture with minimum color aberration. With its tremendous power, this lens is ideally suited for wildlife and sports photography. Multi-coated high definition optics and an integrated lens hood combine to maintain maximum contrast withreduced glare and reflections. It produces sharper, more intense pictures. 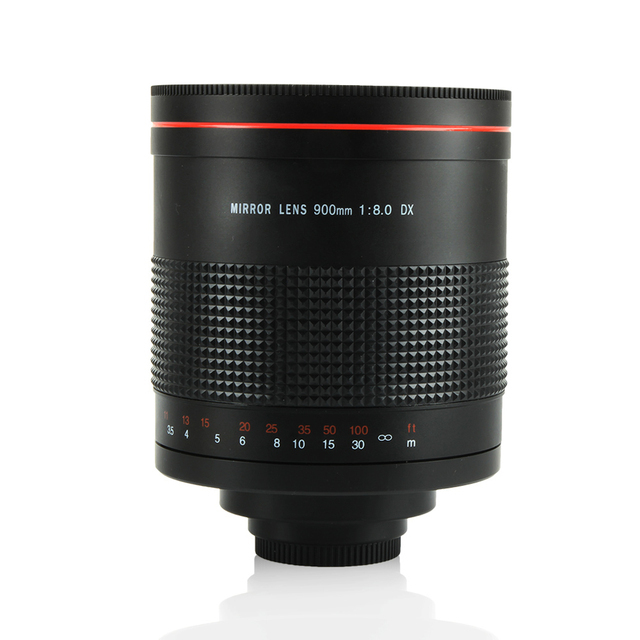 It is also one of the most affordable precision optics available, which allows anyone on any budget to enjoy shooting crisp, clear pictures. Aluminum alloy construction provides for a lightweight and rugged design that includes a rotating tripod mount, for balance and stability when mounted on a tripod or monopod. 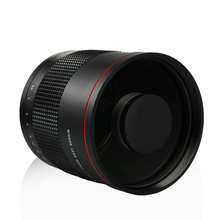 If you are not sure if the lens is suitable for your camera,please contact us for confirm!